Having bought yourself a hot tub or spa and using it for months, you realize your efforts of having it stainless and sparkling are futile. Look no further for we are here to fulfill this task for you. Call us at (925) 269-9399 to get an estimate. Located in Walnut Creek, we are a well-established professional contracting company with our main drive being satisfying our clients’ needs. We carry out our services with utmost sincerity and integrity. 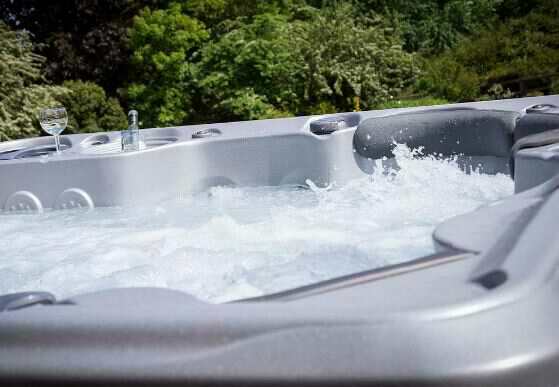 Cleaning a neglected/ sitting hot tub- Leaving water in a spa or hot tub for more than a week results to the growth of biofilm or bacterial colonies. The first step we take is testing the filter system after which we drain and clean it. We then refill and purge the tank. Purging is whereby we add chemicals to the tub which removes the biofilm upon turning on the jet pumps and blowers to dislodge any remaining bacterial colonies. We drain and refill the tub with fresh clean water and make chemical adjustments. Spa system flush - Before we drain the tub, we remove the hot tub filters and covers. We pour in the system flush and allow it to circulate for 12-24 hours. Afterwards, we drain the water. Recycling the hot tub into the pool. Recycling the hot tub into the bathtub. Filtering spa water through an external pool filter. Filter spa with reverse osmosis. Balancing the spa water and shock with a granular chlorine shock. Scrubbing the Spa, pipes and soaking the jets. Cleaning hot tub pipes - We add a spa system flush which circulates with the jets on. The sludge and grime inside the pipes is trapped in the filters. Cleaning hot tub filters - Our spa cleaning services extend to every single part of the tub. After removing the hot tub filters, we scrub them, placing them in an oil cutting solution. We can also put the hot tub filters in a dishwasher and use the normal cleaning detergents. Cleaning hot tub jets - For this process we fill the tub, turn off the air induction valve, add cleanser to the water, add bleach, run the jets for 10-15 minutes and drain the tub. We run the jets for another 10 minutes and finally drain the tub thus leaving your hot tub jets gleaming. After sanitization, your tub is clean, fresh and bacteria free. Happiness is can be expressed in many ways including being immersed in a long hot bubble bath. We are dedicated to having a job well done to our client’s satisfaction and expectations. Please give us a call or send us a mail with your shared thoughts or views for us to assist you at (925) 269-9399.